More Marines might be heading for active combat in Syria, while the new U.S. administration discusses looser criteria for lethal drone strikes in the Middle East, and at the same time, State Department leadership and resources seem to have low priority. Meanwhile, apparently, innocent civilians continue to die. Dear Christian taxpayer: Are you and I content with this state of affairs? I wrote the following post eight years ago, shortly after Obama took office as president of the U.S. Some of the context has obviously changed, but I stand by my original point: who are these enemies in our target zones, and "how do I know that they deserve to die at the hands of officials answerable to me and my neighbors, with bombs our taxes have purchased?" AND: is there a direct line we can draw between our answers to these questions and our behavior as evangelical Christians? The New York Times reported today that "United States officials acknowledged Thursday for the first time that at least some of what might be 100 civilian deaths in western Afghanistan had been caused by American bombs. In Afghanistan, residents angrily protested the deaths and demanded that American forces leave the country." A little later in the story, "The United States defense secretary, Robert M. Gates, questioned by journalists as he visited the capital, Kabul, apologized for any loss of innocent life. But he said that 'exploiting civilian casualties and often causing civilian casualties are a fundamental part' of the insurgents’ strategy." I grieve these deaths and losses. I don't want to think about how my country's equipment rained death down on people I never knew. Among the victims, those who did not wish us harm died for the glorious reason that they inhabited our margin of error, or because their deaths were seen as a reasonable price to pay to accomplish the deaths of the "real" enemy. Our officials knew that this real enemy apparently likes to cause or provoke us to kill innocents, and by the criminally stunted morality of low-intensity warfare, we oblige. Well, I can't help going a step further. What about that real enemy, the Taliban, or El-Qaeda -- how do I know that they deserve to die at the hands of officials answerable to me and my neighbors, with bombs our taxes have purchased? Much of the confusion regarding Christianity and politics swirls around whether (and if so, how) the church should be involved in politics, or which options a Christian should choose within a particular society or nation. But this typically cedes far too much to a secular politics, construing it as the only game in town and failing to recognize that living together as the people of God is itself already a politics. It presumes politics as an autonomous sphere of the social order having a fixed boundary that separates it from the realm of faith, so that faith can only ever be related to politics as a subsequent application or engagement. By contrast, to speak of the politics of evangelism in the way I intend it here is to begin with the church as itself a politics and to point to the visible, bodily, and corporate way that persons are invited to be formed into that alternative polis. The church then is not called merely to be political but to be a new and unprecedented politics; not merely in public but as a new and alternative public; not merely in society but as a new and distinct society, a new and extraordinary social existence where enemies are loved, sins are forgiven, the poor are valued, and violence is rejected. Yet if evangelism is political or if, for that matter, this politics is no utopian ideal, nor is it a lofty set of "causes" that we are merely summoned to stand in favor of. Evangelism is a summons to take the reign of God seriously, and it is an invitation to allow our lives, commitments, and relations to be ordered within that deviant politics called the church. We do not start with "world" in order to understand what we mean by "church." However subversive this politics may be, it is so precisely because it embodies the good news of God's reign in a situation where hostility to that reign passes for normalcy. Nor may we absolutize the difference between church and world. For one thing, there is a good deal of "world" in all of us, including the church. But more than that, while it is true that the church's story is not the world's story, Christian evangelism operates out of an unyielding trust that it can be, the audacious confidence that it should be, and the outrageous hope that it will be. In my sorrow about the Afghanistan slaughter, I'm trying to make a concrete application of this theology. The world's story (at least the Pentagon's story) is that (a) the Taliban are our enemies; (b) we have justifiably deployed forces within range of Taliban bullets; (c) their violence against our forces and allies is illegitimate; (d) our lethal response, including risk to civilians, is legitimate and normal. Jesus severely complicates this neat arrangement. As Paul says, "God has given us the task of telling everyone what [God] is doing. We're Christ's representatives. God uses us to persuade men and women to drop their differences and enter into God's work of making things right between them." (The Message, context.) But in the "real world," hostility to that starting point, that urgent ministry of persuasion and reconciliation, passes for normalcy. Our first step, if Bryan Stone is right, is to declare independence from both the Pentagon story and the Taliban story -- not to depart from the world in which these combatants are killing each other, but to place the legitimacy of their stories under question. I don't mean a glib or sentimental claim of equivalence, declaring both sides equally lovable and blameless. On the other hand, I do mean putting sacrificial effort into finding out what each side actually knows about the other, and whether they're telling their audiences the whole truth about what they know. 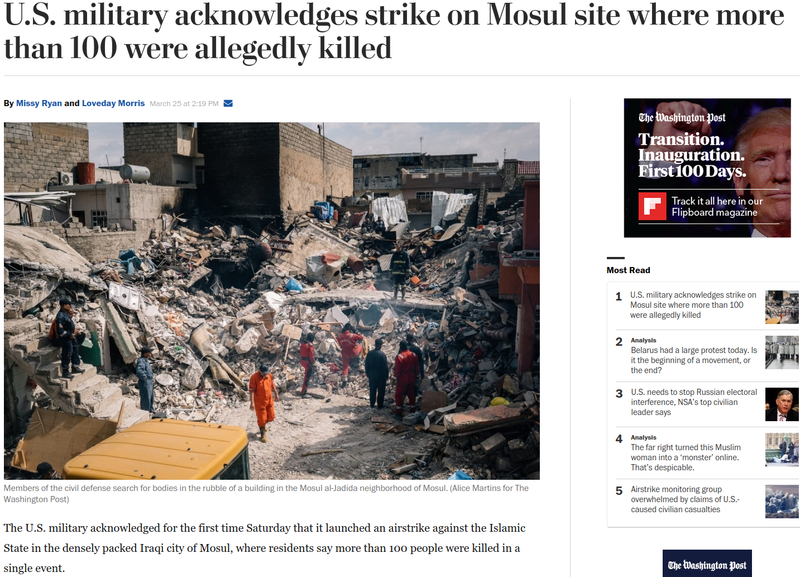 What in fact are U.S. forces doing that far away from home; what do they know about their opponents' grievances and motivations, and what has "our side" done to break out of this lethal embrace with the enemy? The other side faces equally awkward questions concerning their ultimate goals -- is their quarrel primarily with foreign intervention and occupation, or do they actually seek to set up a totalitarian theocracy? Have they in fact declared war against anyone who disagrees with them? And we evangelists -- what will we do to communicate the hope of reconciliation, the necessity of mercy and forgiveness, in parts of the world where the hostility is not just normal, it's deadly? We can and should assert that no government is entitled to command Christians to kill anyone. When our governments tell us who should be our enemies, we should be persistently skeptical. Even when the government has correctly identified a group that truly wants to harm me and my neighbors, we should never accept blindly the government's limited list of options for meeting the danger. And, in the meantime, we should be organizing our prophets, evangelists, apostles, pray-ers, teachers, administrators, pastors, and everyone else to be sure that eventually the ministry of reconciliation is in every place in this "real world" where guns and missiles are aimed at each other. The stakes are high -- there are children living right now in those margins of error, and our taxpayer-financed fingers are again tightening on the trigger. For almost the whole Bush II presidency, I yearned for a respectful and assertive dialogue between our leaders and those who seem to hate us the most, particularly among Muslims -- not a pandering apology but a straightforward engagement with our enemies' assertions, both right and wrong. Obama has made a new and hopeful start, but the agonies of innocent victims, shredded in full public view by our forces, are drowning him out. The Bible on enemies; 100 Bible verses on enemies; does God have enemies? Jan Wood: God is a realist. Perpetual War Watch department: "Prepare, Pursue, Prevail!" Jim Forest on the spiritual development of Thomas Merton. This is how a Russian principal talked to her students about patriotism.